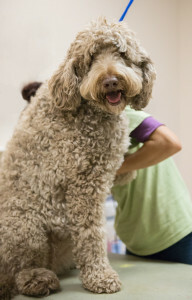 Fit ‘N’ Furry Pet Resort’s state-of-the-art dog spa is unlike any other, and environmentally friendly, too. Our highly-skilled bathers and brushers offer a variety of dog spa services designed to make your pet look and feel their best. Gentle massage, bathing, high-quality products and loving care provide a pleasant experience for every pet while maintaining or improving the condition of their coat and skin. Petaluma pets don’t get more pampered than this! Schedule an appointment and see why pet owners from all over Marin and Sonoma counties call us the best. New Clients get $10 off their first Spa Service! Our talented, highly-trained spa staff have the experience and techniques to deliver a comfortable experience. We specialize in providing quality services in ways dogs of all ages can enjoy. The Fit ‘N’ Furry spa is equipped with the latest in dog bathing technology. Our top-shelf bathing tools are designed for quick and comfortable service to your dogs. We have everything we need to take care of deep layers of trapped hair, uncomfortable matting, sensitive skin, and more. We use only the best products from our all-natural shampoos to our pampering spa treatments. All services are lovingly delivered by talented staff using healthy, effective products you won’t find in the pet care aisle. Leave the mess with us, not at home. Bathing your pet can be messy and even dangerous. Let us take care of the heavy lifting, puddles of water, and piles of dog hair. And a clean dog gets more cuddles! 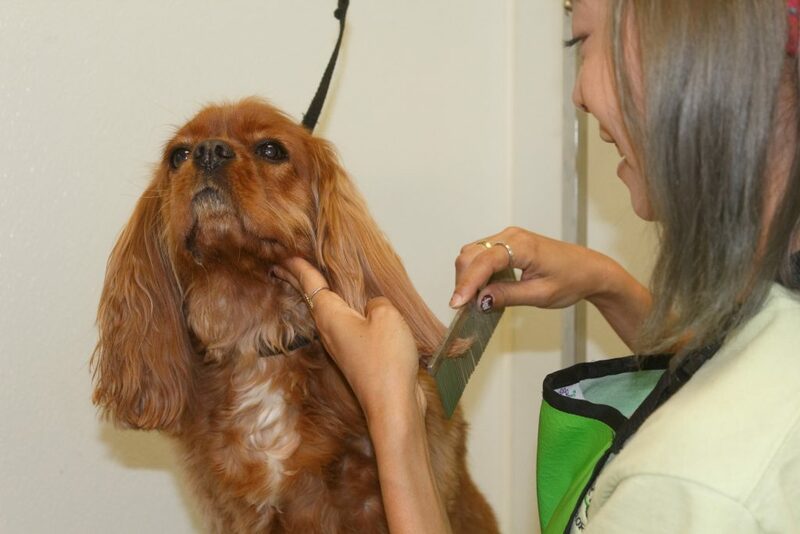 The spa at Fit ‘N’ Furry gives your dog a luxurious bath and leaves them feeling relaxed, smelling pleasant, and showing off a clean and shiny coat. We have been using Fit ‘N’ Furry since Oct. 2007. Our experience has been very positive in every way. The staff is delightful, very caring and friendly. We can truly enjoy our trips knowing that Kisses is in such good hands. We never hesitate to recommend Fit ‘N’ Furry. The facility is state of the art, spotlessly clean and cozy. We found Fit ‘N’ Furry after lots of searching! From the first phone conversation to our initial visit, everything felt right. I appreciated the professional environment, the attentiveness of the staff, and the welcoming atmosphere.